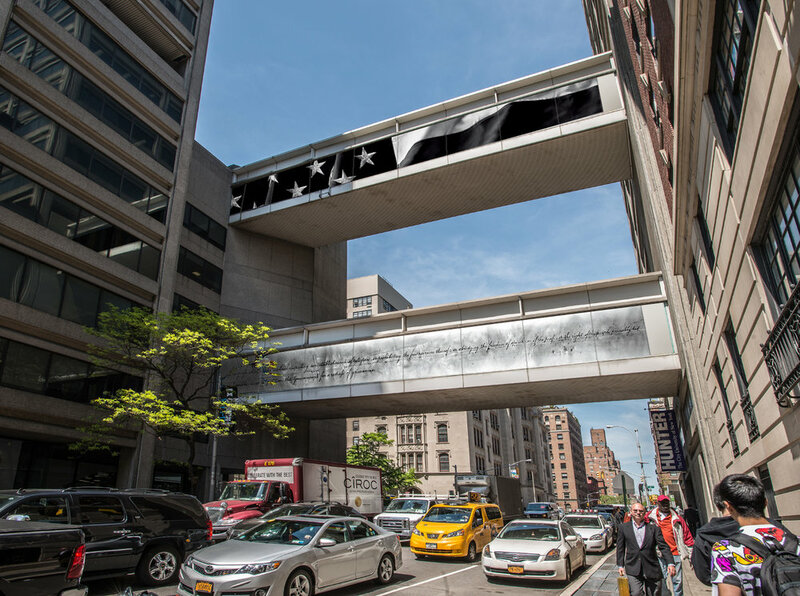 Installed on the sky bridges across Lexington Avenue, Robert Longo’s American Bridge Project is based on two of the artist’s large-scale charcoal drawings. 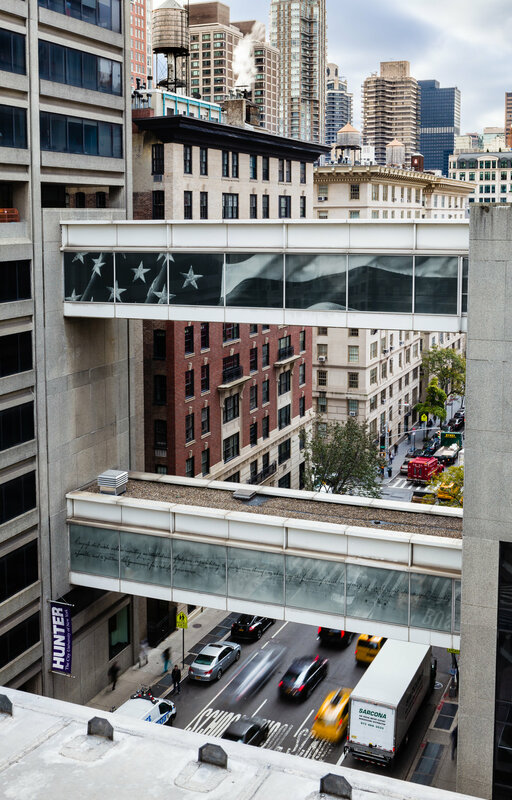 On the third floor sky bridge, the artist offers images of the First Amendment to the United States Constitution, which affords us freedom of assembly, religion, and speech. 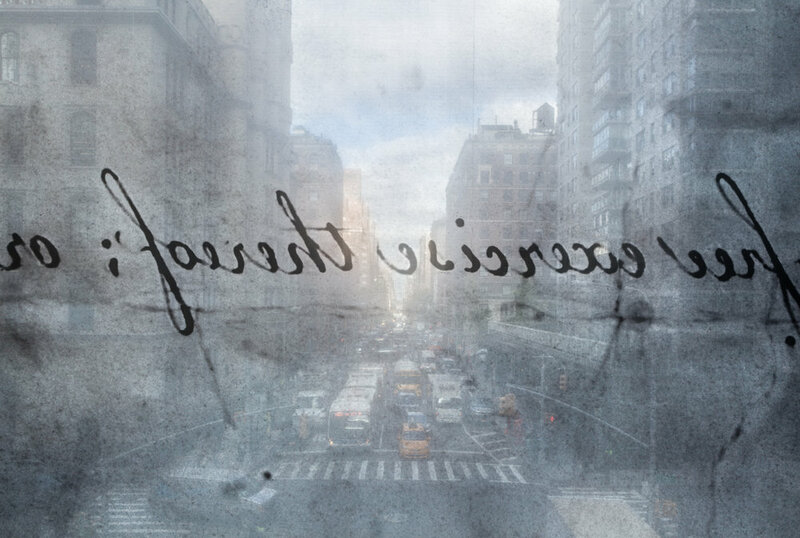 Rendering the text as it was first written in pen and ink, Longo reminds us that it was crafted by human hand. 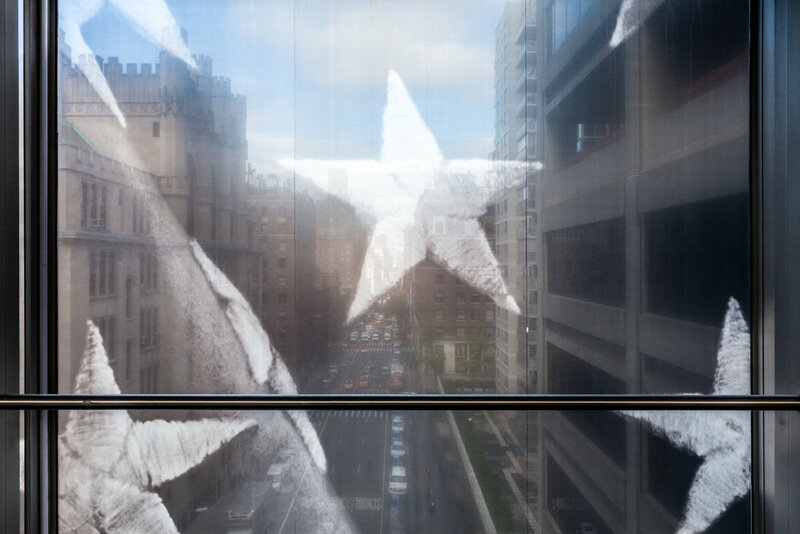 He juxtaposes this with a stock image of the American flag, repeated on each side of the seventh floor sky bridge. Robert Longo (born 1953) is a fall 2017 Judith Zabar Visiting Artist at Hunter College. 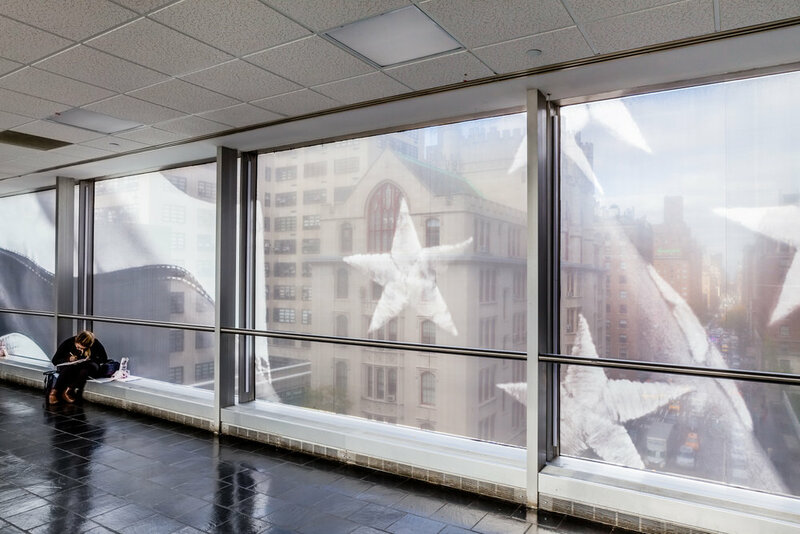 Longo’s work is currently featured in the exhibition Proof: Francisco Goya, Sergei Eisenstein, Robert Longo, on view at the Brooklyn Museum September 8, 2017–January 7, 2018. 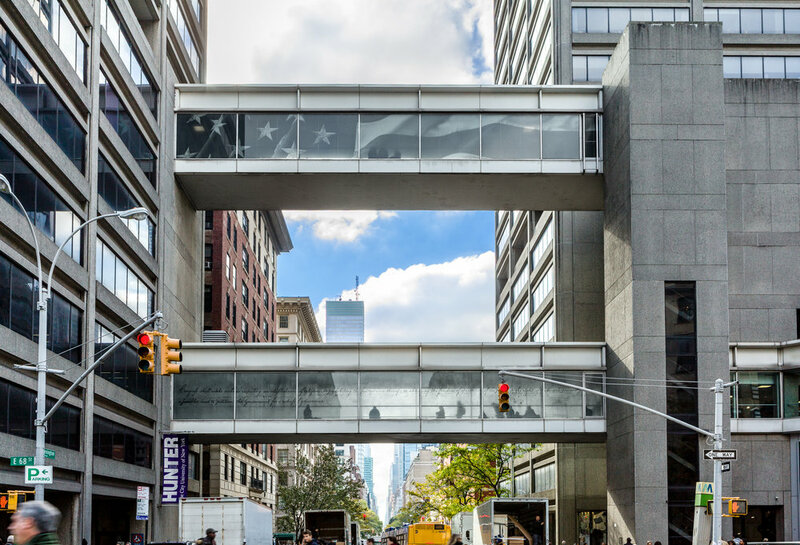 Robert Longo: American Bridge Project is made possible by Artnet, with additional funding provided Metro Pictures Gallery, Jules Demchick and Barbara Nessim, Carol and Arthur Goldberg, and the Landy Family.